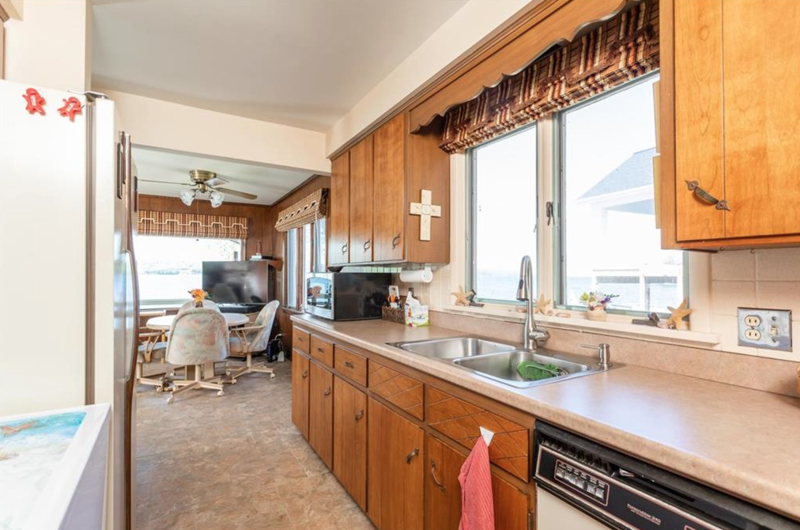 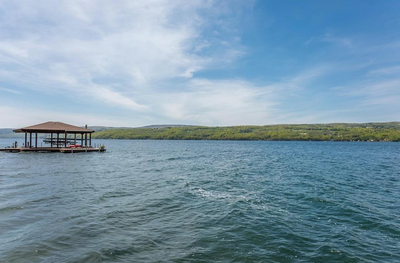 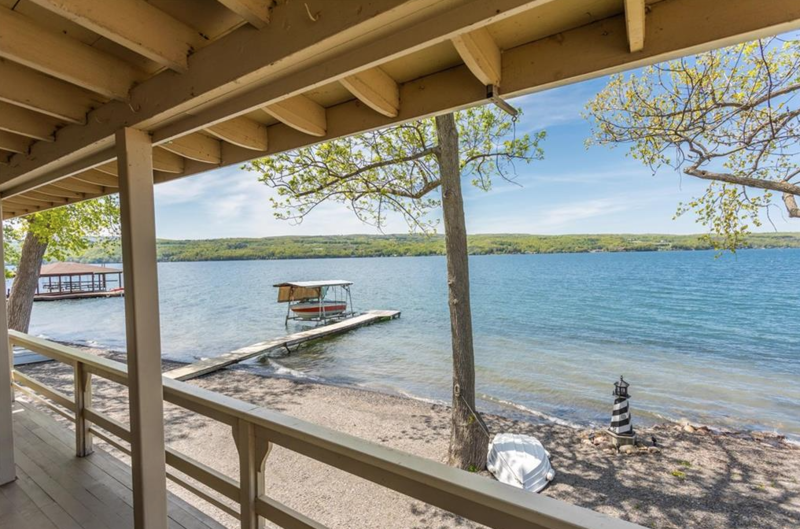 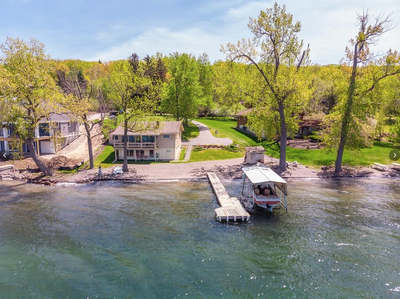 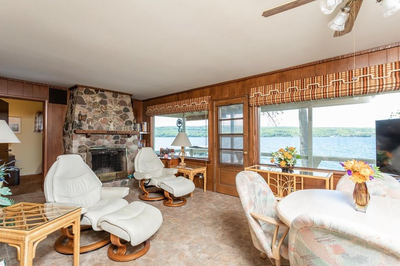 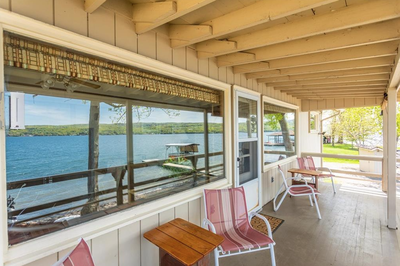 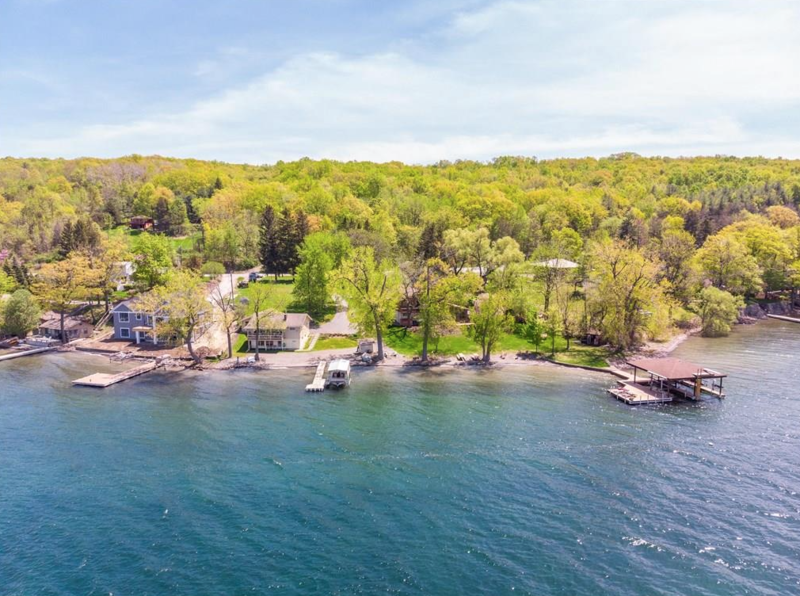 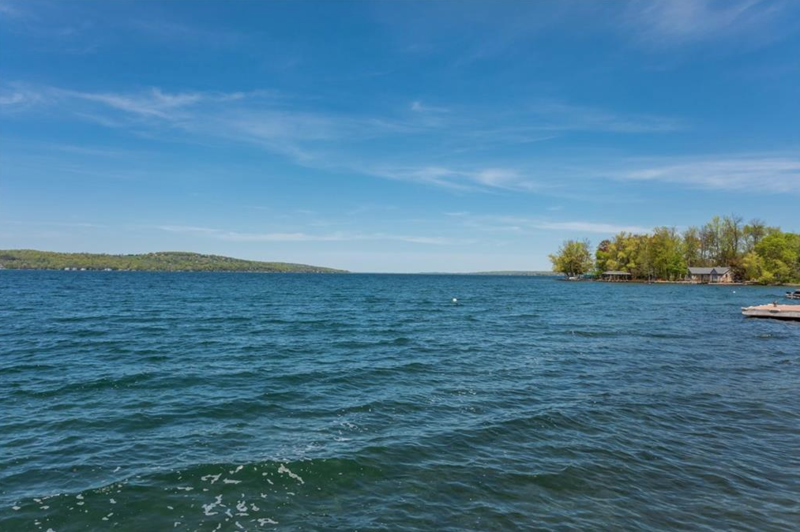 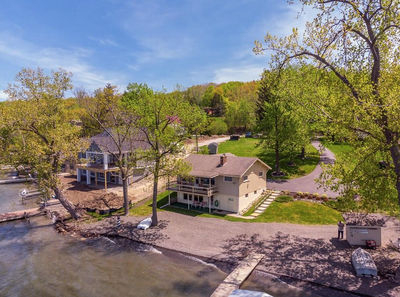 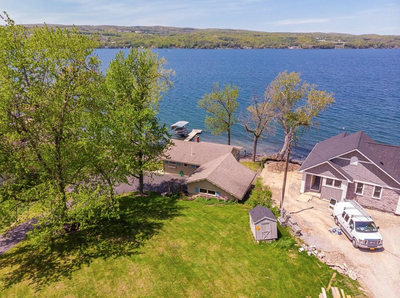 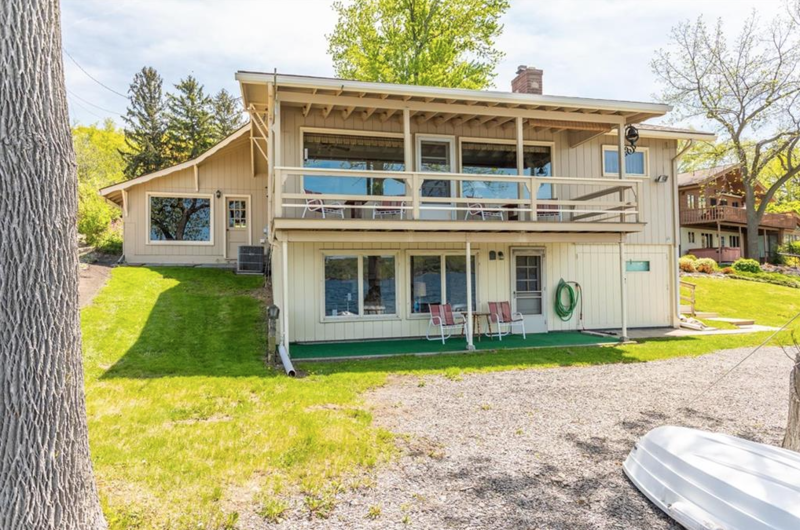 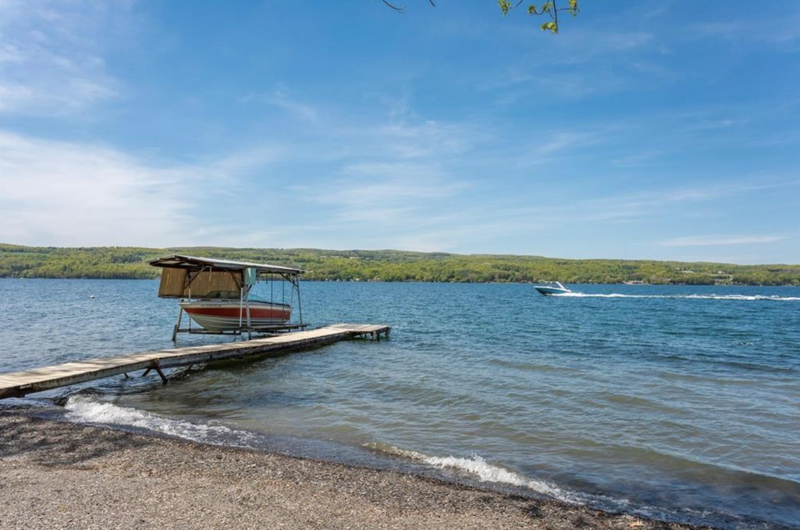 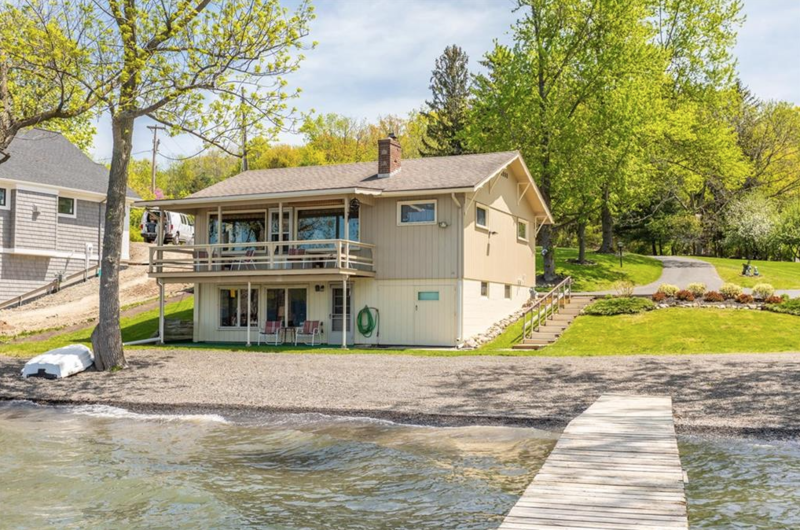 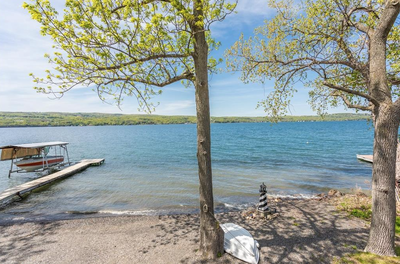 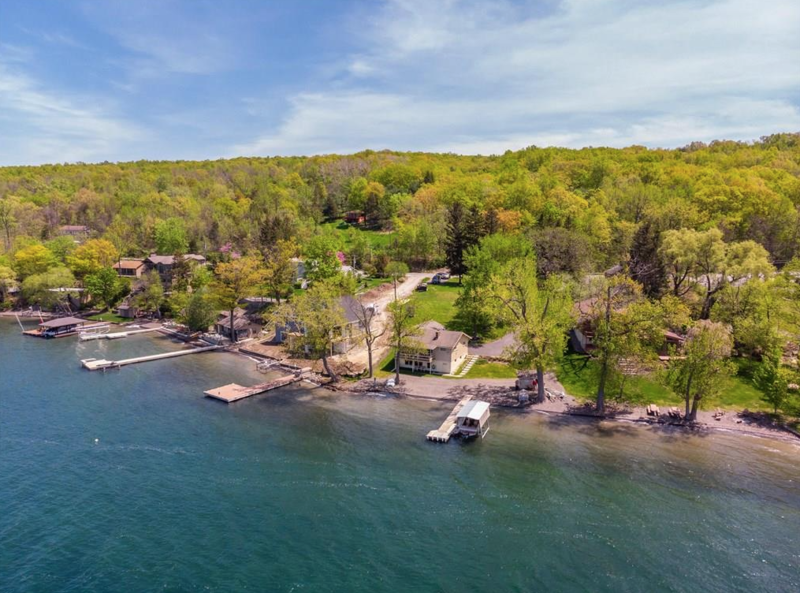 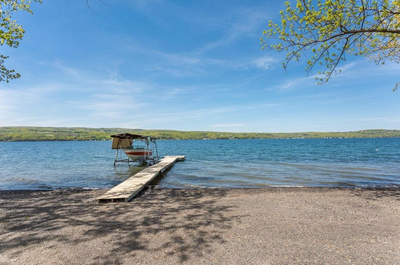 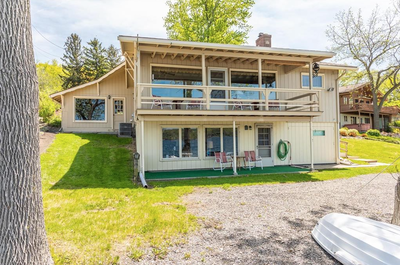 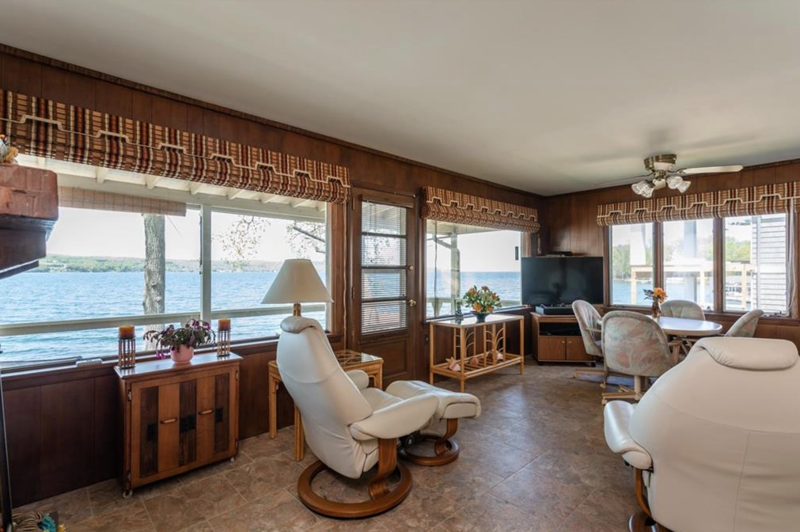 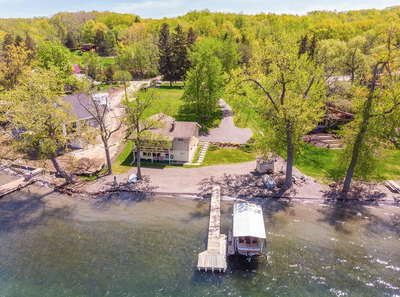 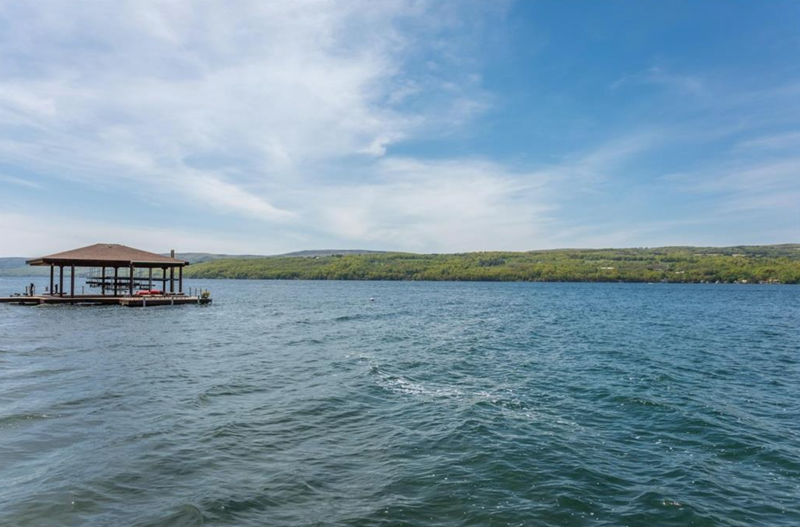 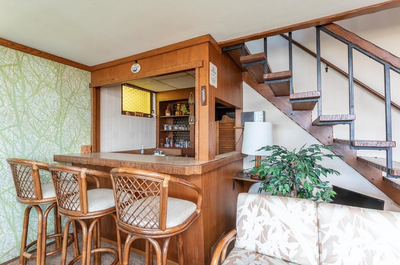 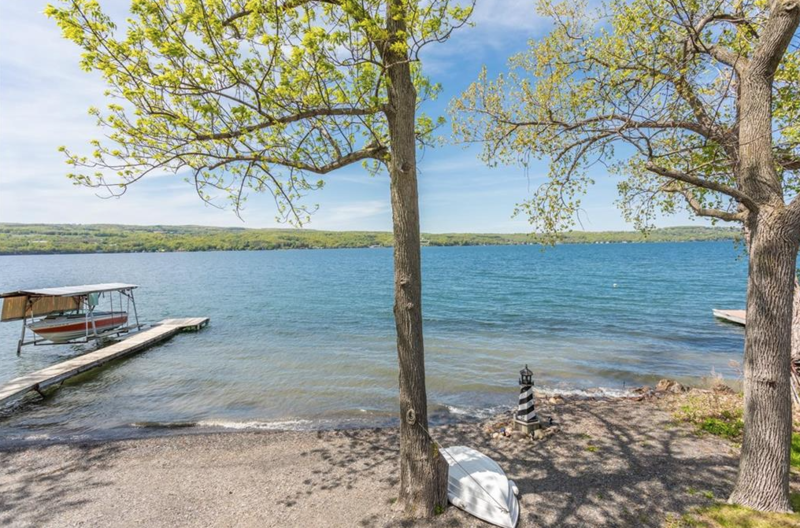 New to the market, rarely available year-round Canandaigua Lake home situated on almost a 3/4 acre lot with 110' of level shale beach and town water & sewer! 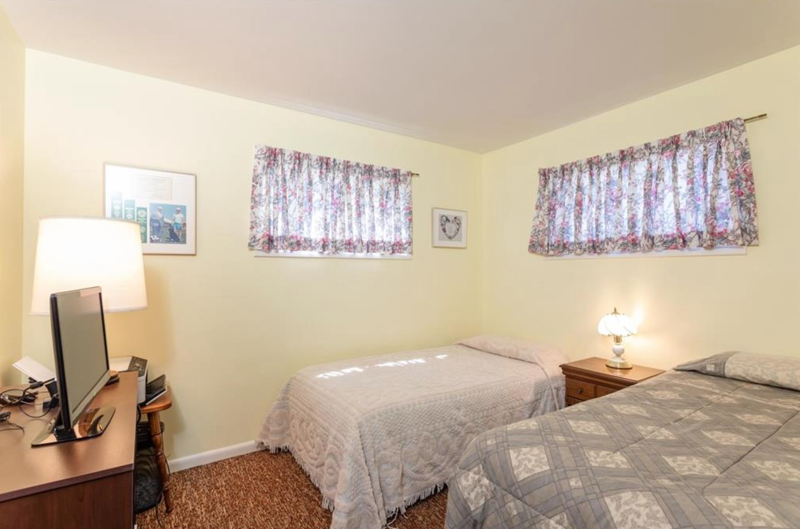 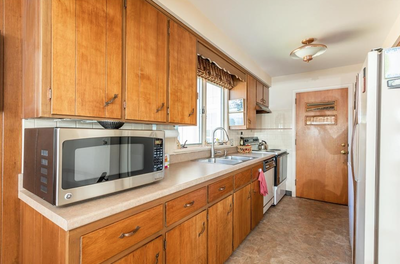 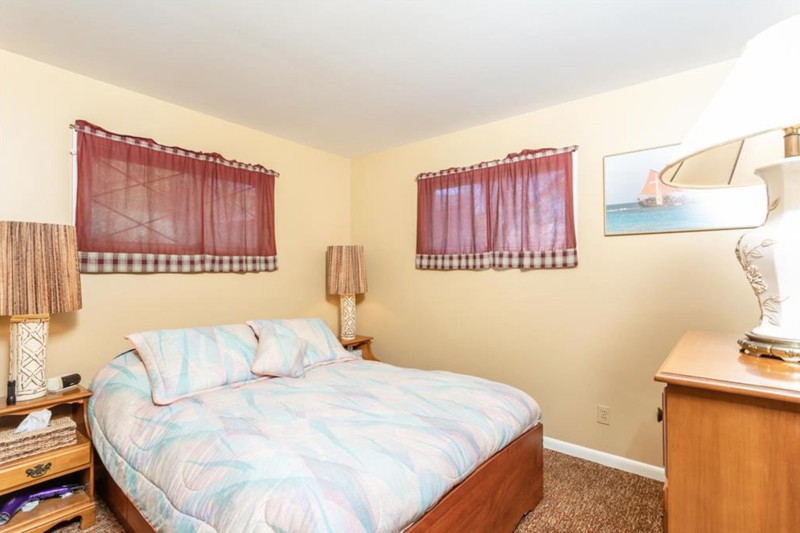 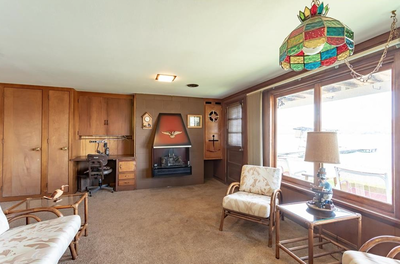 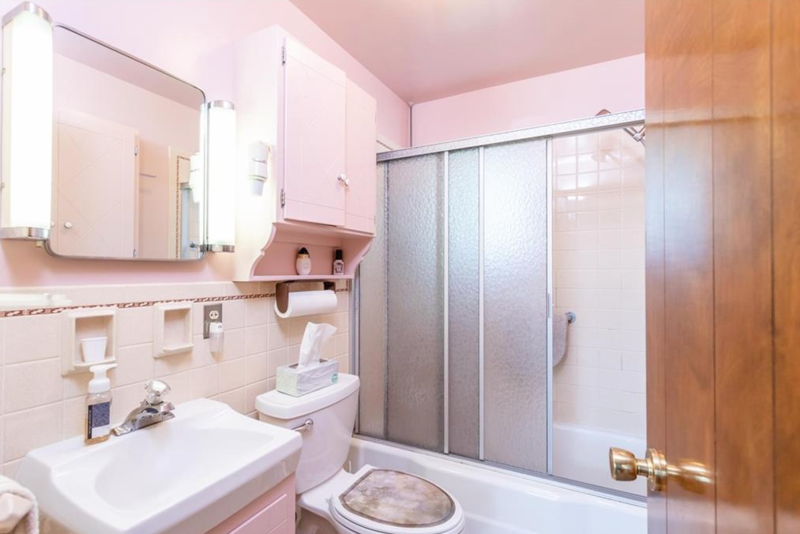 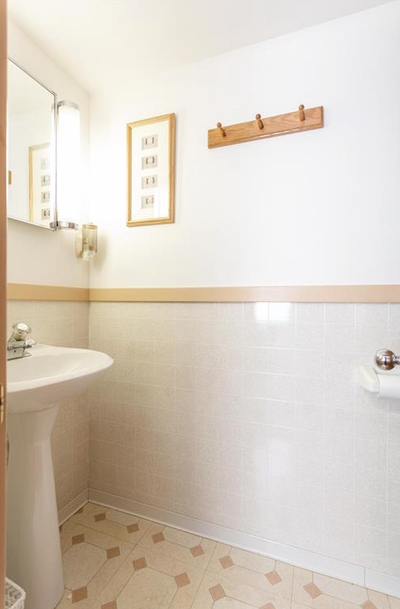 Prime East-Side location, nicely positioned to offer panoramic southern, northern, rolling hills & sunset views! 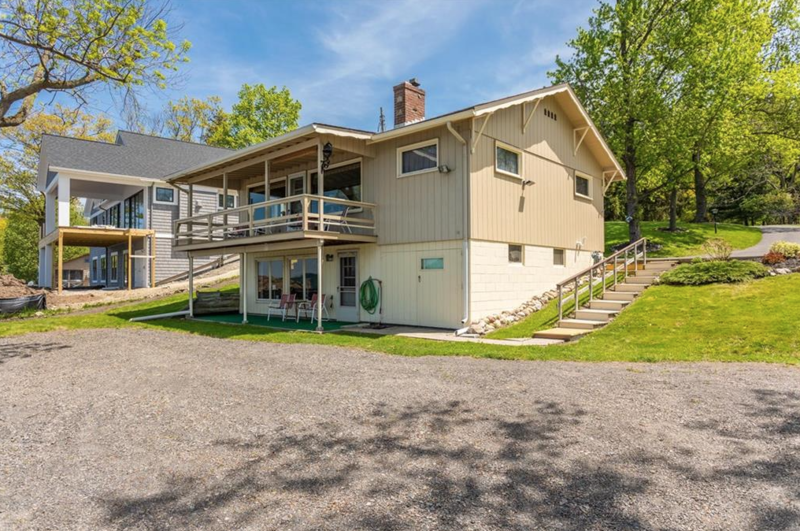 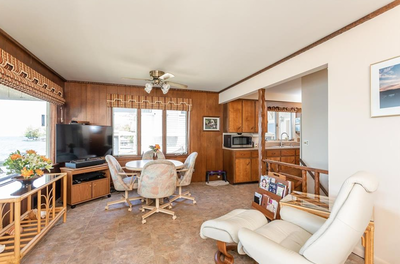 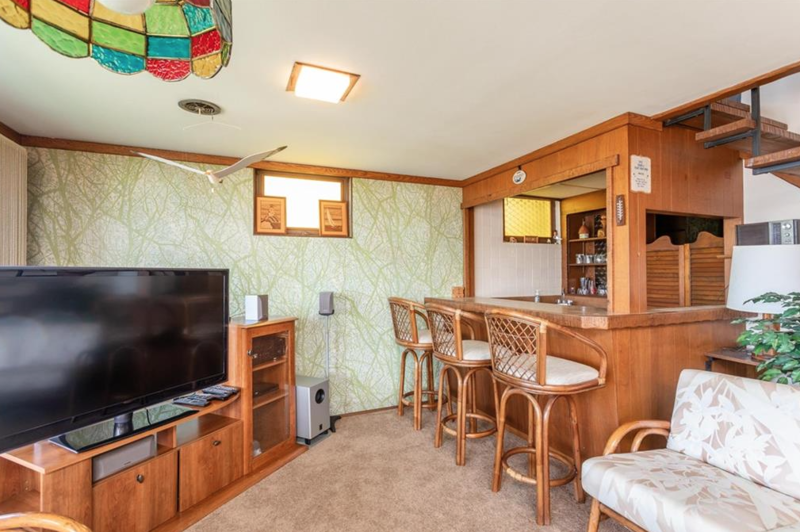 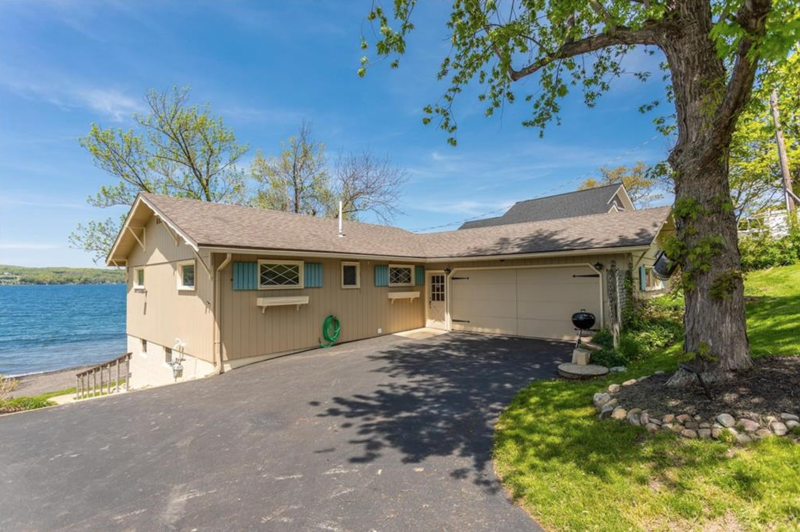 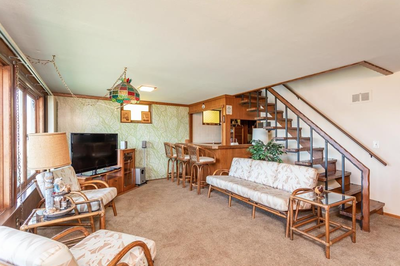 Ranch home, main level with about 1,352 S/F, 3 bedrooms, 1 full bathroom, kitchen , living/dining room with wood-burning fireplace & door leading out to the covered porch overlooking the lake & dock! Partially finished walk-out lower level adds about 600 S/F, with a recreation room, wet bar and doorway leading right out to the shale beach! Two-car attached garage and lakeside storage shed for extra storage. 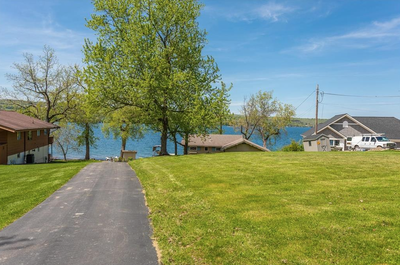 Long blacktop driveway with parking area, lots of room for cars/guests! 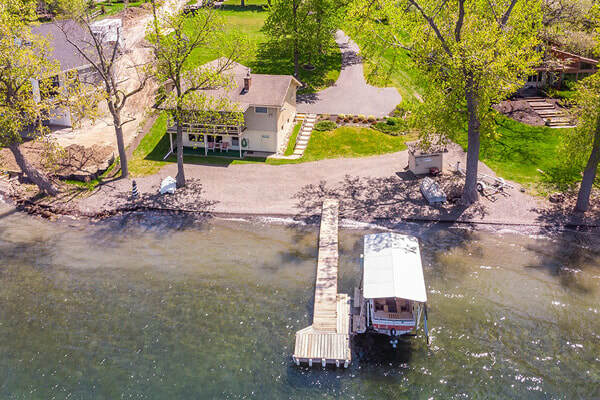 Existing dock & hoist are included!